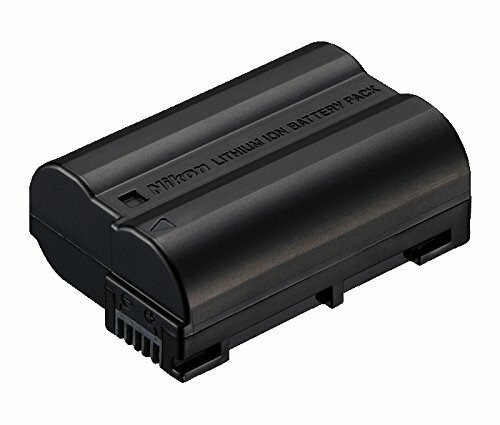 The 1900mAh Nikon EN-EL15 Lithium-Ion Battery is a rechargeable battery for the Nikon D500, D600, D610, D7000, D7100, D750, D800, D800E, D810 and the Nikon 1 V1 cameras. Lithium-ion batteries will not suffer from the adverse memory effects that are normally associated with other battery types. View More In Batteries & Chargers. If you have any questions about this product by Nikon, contact us by completing and submitting the form below. If you are looking for a specif part number, please include it with your message.